Sometimes it’s the small luxuries in life that really count. A gourmet donut, splurging on some expensive face cream, or maybe a luxury bath caddy to take your next bath experience to spa level? Having a caddy in your bathroom is a great spot to set your bath salts and bombs, a candle or two, or even use as a reading shelf if you like to relax with a good book in the tub. Since we have been loving the lucite trend lately, we thought that a few sheets of acrylic would make a beautiful bath caddy, and I think we were right! First, have a lucite board cut into two identically sized pieces. Depending on your tub, you may want to tweak the measurements a bit, but this caddy is 35″ x 12″. So that’s the size I had my pieces cut. 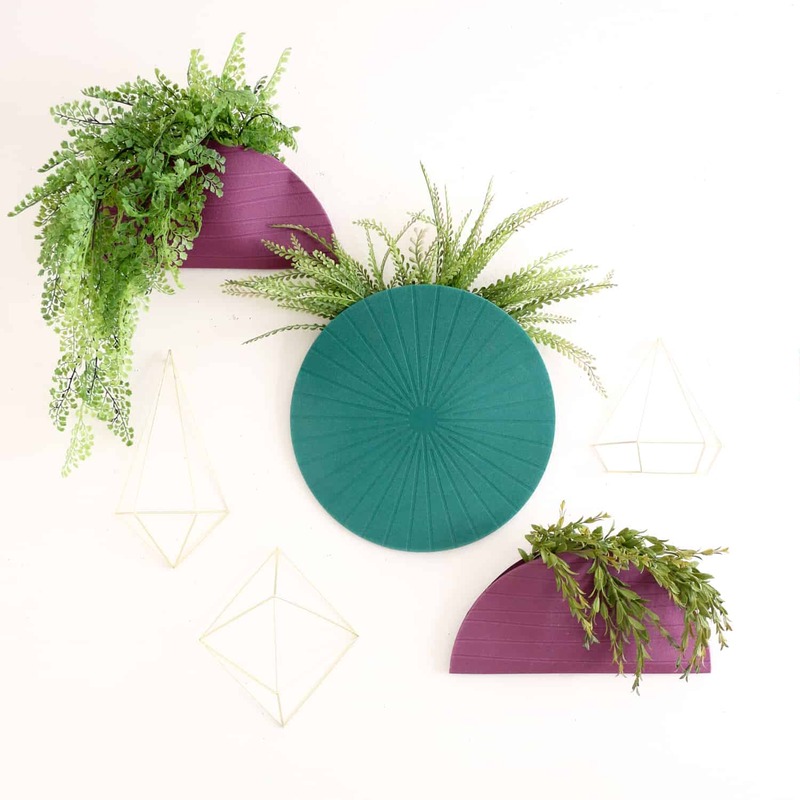 Once your size is established, cut (or have the hardware store cut) your pvc trim pieces to create a border that lines up exactly with the outside edge of the lucite rectangle. I used a saw at home so I could make the 45 degree angles. But if you have them cut it at the store, you can just do straight edges. Just cut two pieces the exact width of the lucite for the ends, and then cut two length pieces that will fit between the end pieces to make a border. Use a drill bit the size of the hardware screws for the handles and place a piece of scrap wood under the marked holes. Drill with the drill running backwards while applying pressure into the lucite to drill each hole. On the underside of the top lucite panel, peel back the plastic a few inches from each edge and use the epoxy to glue and clamp your pvc trim on to each side. When the glue is dry, peel back a few inches of the top plastic and attach the handles through the drilled holes. Fully peel off the plastic from the underside of the top lucite panel and peel off one side from the bottom lucite panel too. Take a quick look to make sure you aren’t trapping any dust or loose bits in the middle of your caddy, and glue and clamp the bottom panel to the caddy. Once the glue is dry, you can peel off the remaining plastic, and your caddy is ready for the tub! Credits// Author and Photography: Laura Gummerman, Photos edited with A Beautiful Mess actions. Nuevo post en el blog sobre uno de mis sitios preferidos! Descubre el bikini perfecto y los mejores sitios para visitar de ‪#‎FortedeiMarmi‬. That is so creative! Thanks for showing us how to do this! That is so creative! Thanks for showing us this! Just when I think you’ve found every project possible using Lucite, you come up with another one! Love it. Such a unique idea. The space between the two Lucite sheets could be used to slide in ephemera or pressed flowers too, giving it a different look. This has a lot of options for everyone to customize it to their styles. Wonderful job as always! I’d love to know where the accessories (candle and marble plate) are from! You always have great project! We had one of these custom made for me in pink lucite for my bath when we bought our house four years ago. It brings me happiness every day!!! This is fantastic! You’re so awesome Laura, I’m always impressed at how handy you are. And your bathroom is AMAZING! The candle was a gift from my friend, Sarah. A phoenix based brand, I believe. And the plate is actually fake marble from H&M home. OMG! That sounds so so amazing!!! I had no idea H&M has home stuff! Our local store just carries clothing,I’m guessing it’s only in certain ones or online? Sooo cute! I’ve been meaning to make a tub caddy for my clawfoot too. Love the look of this lucite one though! Wow, this is great!! 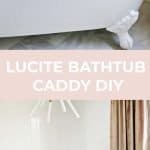 My husband and I have been talking recently about making a timber caddy for our bath, but seeing this makes me think lucite might be a better idea. It has a really fresh and modern look to it, especially with the handles you chose. Thanks for the inspiration! I love this! It looks so chic. It looks quite simple to make, too. These are so pretty and elegant looking! I definitely want to try this one out! Lovely post! I LOVE this idea! Smart. Simple. Stylish…. I know that was unforgivably cheesy but you get the idea. Wow love that light is amazing, don’t suppose you know where it’s from by any chance? I love it, and I definitely need this in my bathroom, although I don’t have such a beautiful bathtub! Wonderful work! This is so pretty! Would love to try but I need to upgrade my bathroom first! So elegant it puts my tub to shame! This is the chicest bath caddy I’ve ever seen! Great idea and gorgeous final result! It looks great with the light fixture above it. Did you make that, too? This is stunning! Such a lovely idea. I’m loving the gold accents. Very creative and pretty. This would be so good for me. Great Job! I am obsessed with that tub! Hi there, this Idea is so pretty! 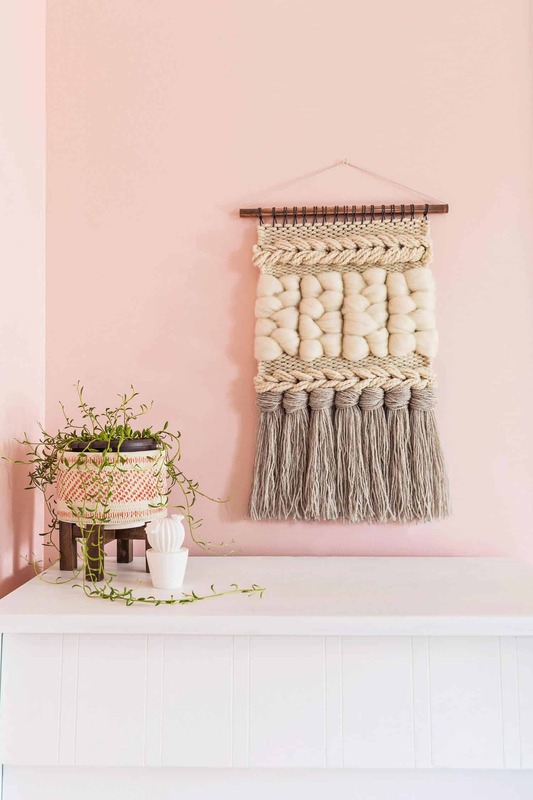 Where did you purchase the pvc window moulding? I live in a small town and I have looked and called everywhere I can think of. I would also love info on the pvc window moulding as I cant find it anywhere! do you have another name for it? ?